Whether carjacking, kidnapping, or terrorist attack, for many the world is becoming a more dangerous place. Unprovoked and unexpected assault can happen anywhere. Potential targets are business and political leaders, the wealthy, and celebrities – even a soccer mom driving a luxury SUV. While no glass is “bulletproof,” the right kind of glass between them and danger can offer an opportunity to escape or fight back. Ballistic glass, more commonly known as bulletproof glass, has a history dating back to World War II. The earliest versions were thick, heavy and bulky and were used mainly in armored vehicles. Interestingly, that basic construction technique of this glass continues to this day. Standard ballistic glass is made by sandwiching two layers of glass, one soft the other harder. The outer layer provides hardness and scratch resistance while the inner, softer layer allows for the flexibility needed to absorb and distribute the shockwave of an impact. Simply put, a direct impact will flex the glass instead of shattering it. Tempering processes further strengthen the materials. Optical clarity is another critical factor in ballistic glass. The index of refraction of the sandwiched materials must be nearly identical. If not, optical distortions will result. Ballistic glass can be as thin as three quarters of an inch and up to three inches in thickness. Modern ballistic glass in today’s product is a laminate. Construction usually consists of layering polycarbonate, thermoplastic and glass. The ability of the glass to resist shock is improved by tempering or alternating the heating and cooling of the material. Chemical processes are also used to temper glass. Glass, being harder, flattens the bullet upon impact. 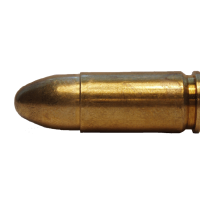 Then, as the bullet continues its trajectory, the plastic deforms and distributes the energy preventing penetration. This process repeats itself as the bullet presses farther into the material. For defense against high velocity penetration (bullets) multiple layering of glass and plastic is particularly effective. An increasingly popular ballistic technique is to use security laminates on the inner surface of ordinary glass. Pressure sensitive adhesives and proper curing provides protection similar to laminated bullet-resistant glass. The effectiveness of this material depends upon the thickness of the glass – typically one half-inch minimum. In addition to resisting penetration, it can provide a high level of protection from flying glass particles. The laminate film comes in rolls and requires professional installation. Despite being a retro-fit, the technology offers several benefits: it is more cost effective, optical clarity is excellent, it is tint-free, and the thickness can be reduced by 50-70%. ALON is an example of an advanced ceramic-based, optic grade material. ALON is hard, durable, transparent, and possesses many attributes of laminated ballistic glass. The low weight (about half that of traditional laminated ballistic glass) of the material is particularly useful for automotive and aviation applications. ALON is now undergoing Department of Defense testing. In fact, stopping a speeding bullet is more about slowing a speeding bullet and dispersing it across a wide surface. The next time you see special effects involving glass in an action movie, they may not be so “special,” but rather quite commonly used to protect lives around the globe.